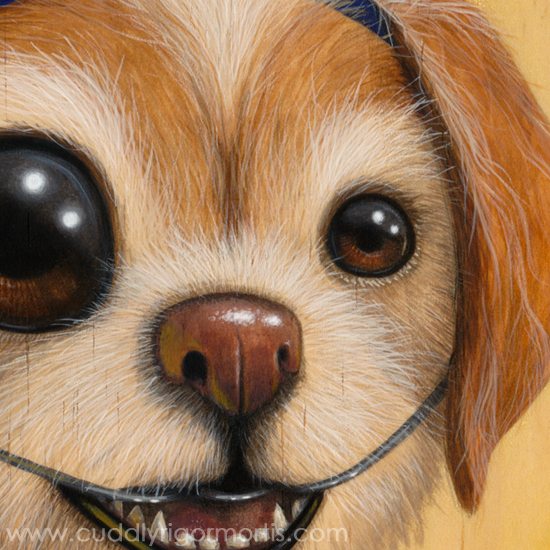 I am thrilled to be taking part in Gallery 1988's brand new tribute show to the amazing Judd Apatow. We were asked to "reinterpret anything from his long career into pieces of art" and if you check his IMDb page you'll see there was a lot to work from! 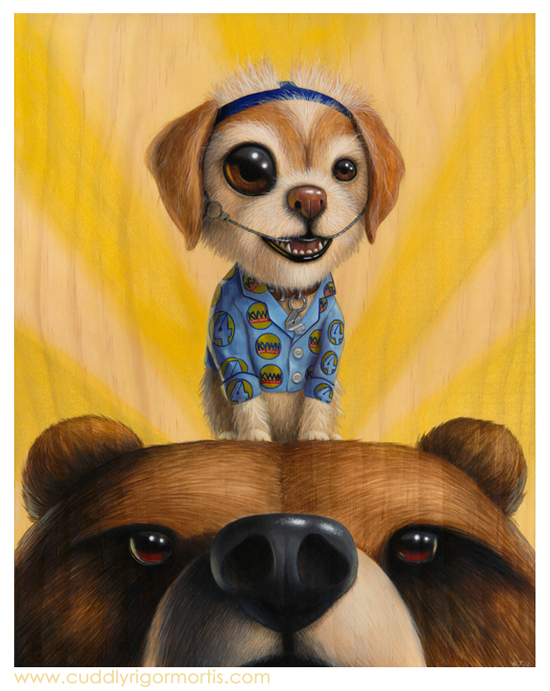 "A Friend of the Bears" (acrylic on wood, 9.25" x 11.5").